Activist Sukesh C Khajuria said he filed the complaint in the interest of free and fair elections and sought legal action against Mufti's April 8 tweet on Article 370. 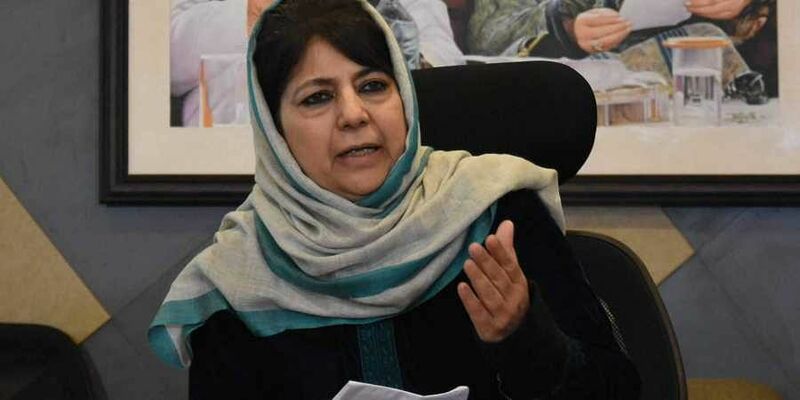 JAMMU: A Jammu-based activist has filed a complaint with the Election Commission against PDP chief Mehbooba Mufti over her "seditious" tweet as he demanded action against her for violating model code of conduct. Activist Sukesh C Khajuria said he filed the complaint in the interest of free and fair elections and sought legal action against the former Jammu and Kashmir chief minister under relevant sections of the Representation of People Act, 1951, laws of the state, Information Technology Act and Model Code of Conduct (MCC) violation. Mehbooba is fighting the Lok Sabha polls from Anantnag constituency.